The word Viviparous means giving birth to live young. Most people tend to think that all reptiles lay eggs, I know I did when I was younger. However, there are a number of live-bearing reptiles. One of the more popular examples is the Blue-tongue Skink. Today though, we are going to be talking about the viviparous reptile the Arboreal Alligator lizard. This is in honor of my two new Abronia Graminea who came in this week that I am planning on breeding in the coming years. 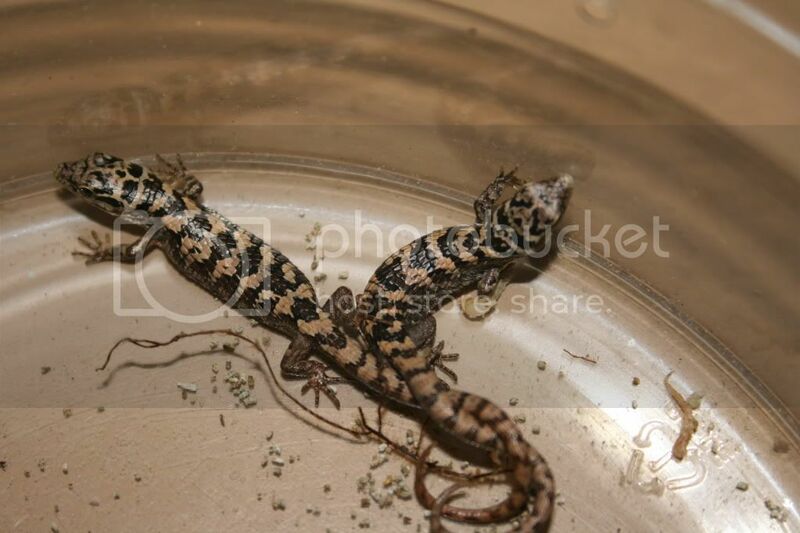 If you don’t know anything about the Arboreal Alligator Lizard, go check out my Petiles spotlight on them! When it comes to breeding reptiles, you can’t just throw them into a cage together and hope it all works out okay. I mean… you can, but it’s a good idea for us to help out in a couple of ways. Mainly, you want make sure your female is in good health. A woman wouldn’t want to get pregnant while dealing with malnutrition or a calcium deficiency (I think). Letting your reptile get pregnant while they are not in good shape is just asking for a world of trouble. All females that you plan on breeding should be given calcium at every single meal. It might even be necessary to break out the liquid calcium to get that their vitamin level up. It takes a lot of calcium to create reptile babies (or eggs), so keep an eye on your females for any signs of a deficiency. Also, keep in mind that this species typically breeds when they are full-sized which is around their second year. Breeding for this species can take place between July and as late as November. It’s possible for the mating pair to be locked up with each other for 24 hours. Since these guys are viviparous, they have a long gestation period. Typically, this period is from six to eight months. When it comes close to time for the babies to come, it’s a good idea to remove the male. Usually, the females will not eat their young, but the males might. There are a couple of things that you can check to see if your female is getting close to giving birth. First, you will notice weight gain. Second, you can check for “chalk sacs” that develop on the sides of her jowls. If you keep a substrate like coco fiber in your cage, it is possible the female will burrow into that to give birth. It’s a good idea to have a few different screen cages for your little ones. If there’s not enough space, they may fight each other. Try having groups of only two or three in one cage. In regards to caring for them, they have the exact same requirements as the adults. The only difference is that they are much more susceptible to higher temperatures. While the adults are somewhat okay with temperatures at 90 degrees Fahrenheit, anything over 85 degrees is dangerous for the babies. They must be fed insects that are appropriately sized so they don’t get impacted. Also, dust the insects with calcium at every feeding. One important note, it’s fine to feed them only three times a week – just like the adults. Just make sure they are getting enough when you do feed them, but don’t overwhelm them. It seems simple when written down, but in my experience nothing is ever as easy as it seems. Throughout my journey breeding my Abronias, I will share updates on this website. My hope is that it can help someone else who plans on breeding this species one day. If you have any questions, please leave a comment below!